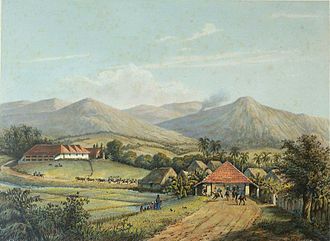 The establishment of Batavia at the site of the razed city of Jayakarta by the Dutch in 1619 led to the Dutch colony that became modern Indonesia following World War II. Batavia became the center of the Dutch East India Company's trading network in Asia. 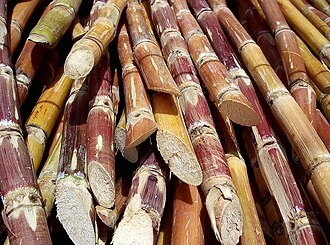 Monopolies on local produce were augmented by non-indigenous cash crops. To safeguard their commercial interests, the company and the colonial administration progressively absorbed surrounding territory. Batavia was a colonial city for about 320 years until 1942 when the Dutch East Indies fell under Japanese occupation during World War II. During the Japanese occupation and again after Indonesian nationalists declared independence on August 17, 1945, the city was renamed Jakarta. 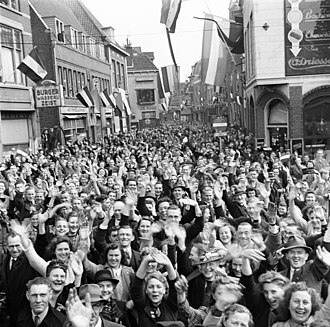 After the war, the city remained internationally recognized under its Dutch name, until full Indonesian independence was achieved in 1949, whereafter the city was renamed Jakarta. On 2 July 1619, Coen decided to expand the original fort into a larger fortress. 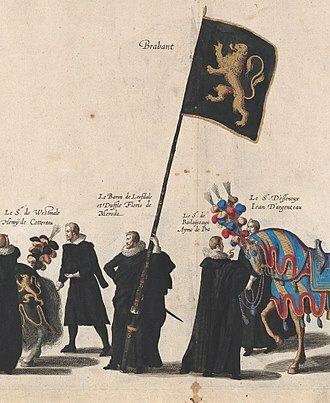 Coen sent the draft of the Kasteel van Batavia to the Netherlands on 7 October 1619. This new castle was much larger than the previous castle, with two northern bastions protecting the castle from attack from the sea. The Dutch fortress garrison included hired soldiers from Japan, Germany, Scotland, Denmark and Belgium. The godowns Nassau and Mauritius were expanded with the erection of a new fort extension to the east on March 12, 1619, overseen by Commander Van Raay. 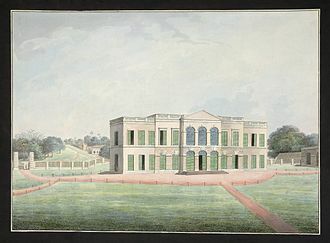 Coen wished to name the new settlement "Nieuw-Hoorn" after his birthplace, Hoorn, but was prevented from doing so by the board of the East India Company, the Heeren XVII. "Batavia" was chosen to become the new name for the fort and settlement. The official naming ceremony took place on January 18, 1621. It was named after the Germanic tribe of the Batavi — the inhabitants of the Batavian region during the Roman period; at that time it was believed that the tribe's members were the ancestors of the Dutch people. 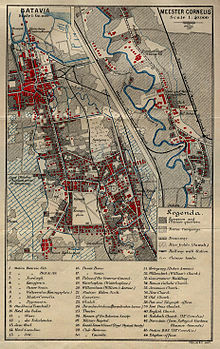 Jayakarta was then called "Batavia" for more than 300 years. Jakarta is Indonesias capital and largest city. Located on an estuary of the Ciliwung River, on the part of Java. Historical evidence from Jakarta dates back to the 4th century CE, the city has been sequentially claimed by the Indianized kingdom of Tarumanegara, the Hindu Kingdom of Sunda, the Muslim Sultanate of Banten, and by Dutch and Indonesian administrations. 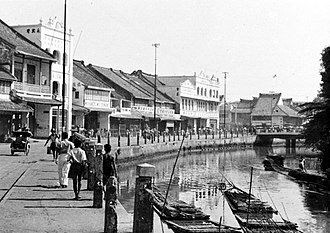 The Dutch East Indies built up the area before it was taken during World War II by the Empire of Japan, Jakarta has been known by several names. It was called Sunda Kelapa during the Kingdom of Sunda period, Jakarta evolved in three stages. The old city, close to the sea in the north, the new city to the south evolved between 1809 and 1942 after the Dutch government took over control of Batavia from the failed VOC whose charter expired in 1799. 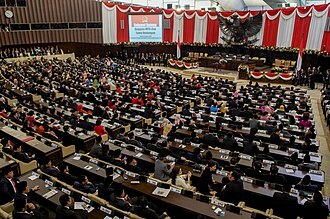 The third was the development of modern Jakarta since the proclamation of independence in 1945, under the Dutch, it was known as Batavia, and was Djakarta or Jakarta, during the Japanese occupation and the modern period. For a more detailed history of Jakarta before the proclamation of Indonesian independence, see Batavia, the coastal area and port of Jakarta in northern West Java has been the location of human settlement since the 4th century BCE Buni culture. The earliest historical record discovered in Jakarta is the Tugu inscription and it is among the oldest inscriptions in Indonesian history. The area was part of the Indianized kingdom of Tarumanagara, in AD397, King Purnawarman established Sunda Pura, located on the northern coast of West Java, as the new capital city for the kingdom. The capital of Tarumanagara kingdom was most probably located somewhere between Tugu sub-district North Jakarta and Bekasi Regency West Java, Purnawarman left seven memorial stones across the area, including the present-day Banten and West Java provinces, consisting of inscriptions bearing his name. 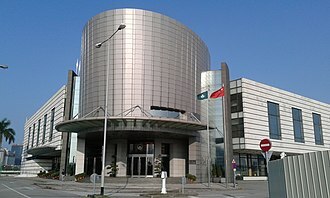 After the power of Tarumanagara declined, its territories became part of the Kingdom of Sunda, according to the Chinese source, Chu-fan-chi, written by Chou Ju-kua in the early 13th Century, the Sumatra-based kingdom of Srivijaya ruled Sumatra, the Malay peninsula, and western Java. Jan Pieterszoon Coen was an officer of the Dutch East India Company in Indonesia in the early seventeenth century, holding two terms as its Governor-General of the Dutch East Indies. He was the founder of Batavia, the city of the Dutch East Indies. Renowned for providing the impulse that set the VOC on the path to dominance in the Dutch East Indies, since the independence of Indonesia he has been looked at in a more critical light, and historians view his often violent means to have been excessive. 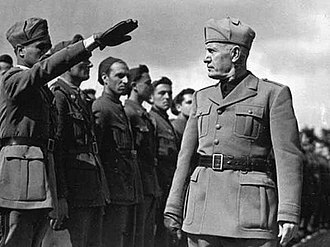 Coen was known in his time on account of strict governance and harsh criticism of people who did not share his views, Coen was known to be strict towards subordinates and merciless to his opponents. His willingness to use violence to obtain his ends was too much for many, specx only escaped the death penalty by drowning because she was still underage. Further but more extensive actions perpetrated by order of Coen, are recounted in a BBC Television documentary series The Spice Trail, Coen was born at Hoorn on 8 January 1587 and raised by his family in accordance with strict Calvinist principles. 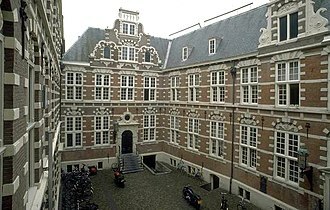 In 1601 he travelled to Rome to study trade in the offices of the Fleming Joost de Visscher, joining the Dutch United East India Company, he made trading voyages to East Indies in 1607 with the fleet of Pieter Verhoeff. During the journey, Verhoeff and 50 of his men were killed during negotiations with the chiefs of the Banda Islands, upon his return to Holland in 1610, Coen submitted an important report on trade possibilities in Southeast Asia to the company’s directors. As a result of this report, he was sent overseas, in 1612. In 1614, he was made director-general, second in command, on 25 October 1617 the XVII Lords of the VOC appointed him their fourth governor-general in the East Indies. As a merchant and Calvinist, Coen was convinced of the necessity of strict enforcement of contracts entered into with Asian rulers and he therefore aided Indonesian princes against their indigenous rivals or against other European powers and was given commercial monopolies for the company in return. Thus the Dutch, at the price of military and naval investment. Ciliwung, written as Tji Liwung in Dutch, is a 119 km long river in the western region of Java where it flows through two provinces, West Java and the special region of Jakarta. The etymology of Ciliwung is uncertain, the two least implausible assumptions are the whirlpool or the meandering one. It is possible that the name originated one of the many epithets of the king of Pajajaran Sri Baduga Maharaja, among them is Prabu Haliwung. The name Ci Haliwung was recorded in the map of C. M, Ciliwung is 119 km long with a catchment area of 476 km2. The Ciliwung river has its source at Mandalawangi in Bogor Regency with the highest peak at 3,002 m. The main tributaries in the catchment area are the Ciesek and Ciluar rivers with respective lengths 9.7 km and 21.0 km. Ciliwung river basin has a narrow and elongated shape. 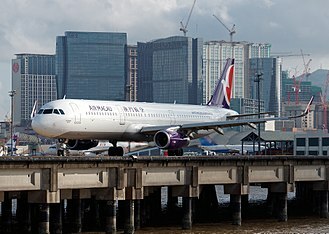 The 17.2 km length of the area has a very steep slope, The 25.4 km length in the middle-reach has a slope of 0.01. 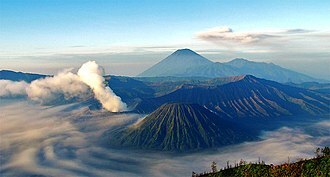 In general the geology of the upstream of Ciliwung river basin is dominated by Tuffaceous Breccia and older deposits lahar, the middle-reach consists mainly of Quaternary period alluvial fans and volcanic rocks. The downstream area is dominated by alluvial and beach ridge deposits, mean rainfall reaches 3,125 mm, with mean annual discharge of 16 m3/s as measured at Ciliwung Ratujaya observation station. With such topographical and hydrological features the Ciliwung river is often overflowing and inundating parts of Jakarta, the population along the Ciliwung river basin reaches 4.088 million which can be regarded as the most densely populated area. The natural flow of Ciliwung was diverted into canals by the Dutch during the settlement of Jakarta. Beginning in area that is now Istiqlal Mosque, the Ciliwung was diverted into two canals, one flowing northwest and one flowing northeast, the western branch flows along the canal of Jalan Veteran and through the canal of Jalan Gajah Mada. This 2 km straight canal is known as Batang Hari canal, previously known as Molenvliet, eventually the water ends up in Sunda Kelapa harbor after passing through the canals of Jakarta Old Town. The eastern branch flows along the canal of Jalan Antara, passing the Gedung Kesenian Jakarta, the water ends up in Ancol. Kota Tua Jakarta, officially known as Kota Tua, is a neighborhood comprising the original downtown area of Jakarta, Indonesia. It is known as Oud Batavia, Benedenstad, or Kota Lama and it spans 1.3 square kilometres within North Jakarta and West Jakarta. 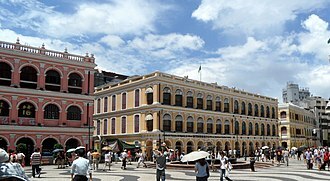 The largely Chinese downtown area of Glodok is a part of Kota Tua, Kota Tua is a remainder of Oud Batavia, the first walled settlement of the Dutch in Jakarta area. It was a walled city with its own Castle. The area gained importance during the 17th-19th century when it was established as the de facto capital of the Dutch East Indies and this inner walled city contrasted with the surrounding kampung and rice fields. Dubbed The Jewel of Asia in the 16th century by European sailors, in 1526, sent by Sultanate of Demak, invaded the Hindu Pajajarans port of Sunda Kelapa, after which he renamed it into Jayakarta. This town was only 15 hectare in size and had a typical Javanese harbor layout, in 1619 the VOC destroyed Jayakarta under the command of Jan Pieterszoon Coen. A year the VOC built a new town named Batavia after the Batavieren and this city was centered around the east bank of the Ciliwung river, around present day Fatahillah Square. 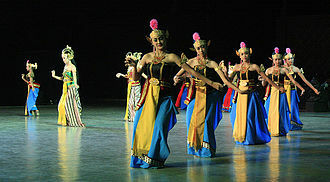 Inhabitants of Batavia are called Batavianen, known as Betawi people, the creole citizens are descendants of mixed various ethnicities that had inhabited Batavia. Around 1630 the city expanded towards the west banks of Ciliwung, the city was designed according to Dutch urban planning, complete with a fortress, city wall, public square, churches and tree-lined streets. 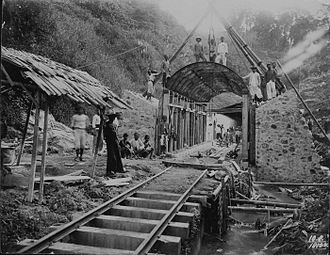 The city was arranged in several blocks separated by canals, no native Javanese were allowed to live within the city walls, since the authorities were afraid that they might start an insurrection. 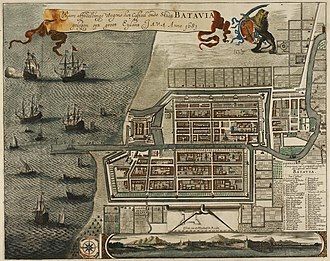 The planned city of Batavia was completed in 1650 and it became the headquarters of the VOC in the East Indies and prospered from the spice trade. Much of the old town became neglected and abandoned due to its decline of importance, countryside villas were preferred by wealthier residents, which caused the city to grow southward. 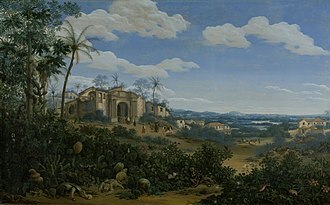 Pieter van den Broecke was a Dutch cloth merchant in the service of the Dutch East India Company, and one of the first Dutchmen to taste coffee. He went to Angola three times and he was one of the first Europeans to describe societies in West and Central Africa and in detail trade strategies along the African coast. His parents, Pieter van den Broecke Sr and Maiken de Morimont, the family lived in Hamburg for a while and left around 1597 for Amsterdam. At the time the VOC began to develop, the younger Pieter joined it as a tradesman, in 1611 he brought in a cargo of 65,000 pounds of ivory to Amsterdam from a captured Portuguese ship. In 1614 he visited Mocha and drank something hot and black, obtaining some of the closely guarded arabica coffee bushes in 1616 and taking them back to Amsterdam, where they began to thrive in the Amsterdam Botanical Garden. He was made the VOCs manager in Dutch Suratte and he described the Ethiopian slave Malik Ambar. From 1616 the establishment there blossomed, with new minor establishments being set up in the hinterland, though in 1617 the Duyfken, under his command, was wrecked on the Surat coast. The name is applied to several military units employed by the Romans that were originally raised among the Batavi. The tribal name, probably a derivation from batawjō, refers to the regions fertility, finds of wooden tablets show that at least some were literate. The Batavi, or at least the Batavian island in the Rhine river, were mentioned by Julius Caesar in his commentary Commentarii de Bello Gallico, the islands easternmost point is at a split in the Rhine, one arm being the Waal the other the Lower Rhine/Old Rhine. Much Tacitus wrote that they had originally been a tribe of the Chatti, a tribe in Germany never mentioned by Caesar and this view, however, is contradicted by the archeological evidence, which shows continuous habitation from at least the third century BC onward. 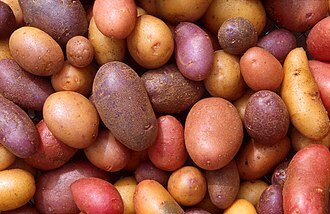 The latter was in use until the Batavian revolt, archeological evidence suggests they lived in small villages, composed of six to 12 houses in the very fertile lands between the rivers, and lived by agriculture and cattle-raising. Finds of horse skeletons in graves suggest a strong equestrian preoccupation, on the south bank of the Waal a Roman administrative center was built, called Oppidum Batavorum. An Oppidum was a warehouse, where a tribes treasures were stored and guarded. This centre was razed during the Batavian Revolt, Tacitus described the Batavi as the bravest of the tribes of the area, hardened in the Germanic wars, with cohorts under their own commanders transferred to Britannia. Well regarded for their skills in horsemanship and swimming—for men and horses could cross the Rhine without losing formation, thence the Britons retired to the river Thames at a point near where it empties into the ocean and at flood-tide forms a lake. This they easily crossed because they knew where the ground and the easy passages in this region were to be found. 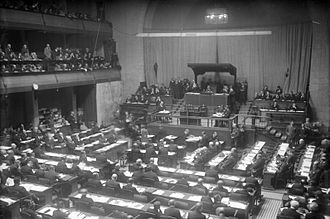 However, the Germans swam across again and some others got over by a bridge a little way up-stream, after which they assailed the barbarians from several sides at once and it is uncertain how they were able to accomplish this feat. Jakarta History Museum was housed on the original town hall of 17th-century Batavia, the capital of Dutch East Indies and center of the Asian spice trade. 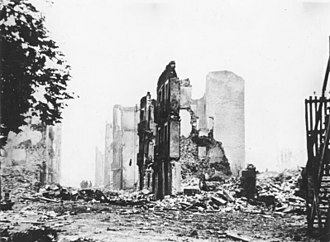 Declining city, in late 19th-century the walled Old Batavia has been reduced to kampung settlements and ruined old buildings. A street in Old Batavia in 1890, depicting 17th century housing before the development of a business district. East facade of Cipta Niaga Building, formerly a bank office, has been left roofless and slowly deteriorates; the wooden interior exposed to the element. 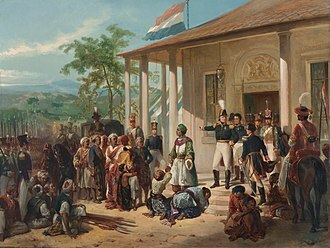 Colonial soldiers standing guard next to the statue of King Willem III of the Netherlands, representing Dutch dominance on Banda. Batavia Castle in 1762 when the land-side wall had been opened toward the Kasteelplein. From right to left: the residence of the Governor-General inside the Castle, octagonal Church at the background, and the residence of the General-Director/Councillor of VOC. The sea-side portal of the Castle, the Waterpoort. Upper Ci Liwung 50 km near its source in the Puncak area. Funerary stela of one of Nero's Corporis Custodes, the imperial Germanic bodyguard. The bodyguard, Indus, was of the Batavian tribe. Banten city from illustration c. 1724.